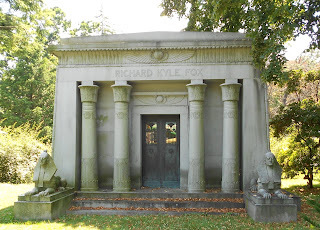 This stately mausoleum, with Egyptian overtones, houses the remains of Richard Kyle Fox in Woodlawn cemetery. 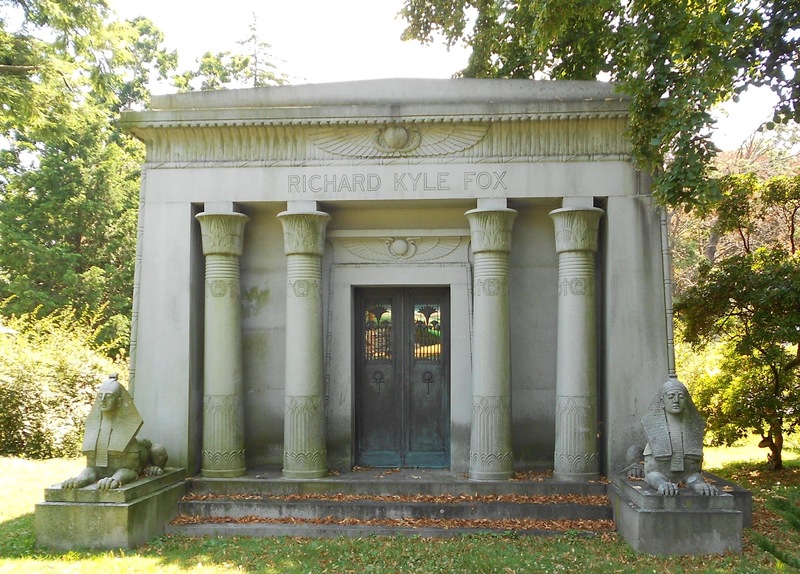 Fox , who was born in Belfast Ireland, published the popular National Police Gazette From 1877-1922. 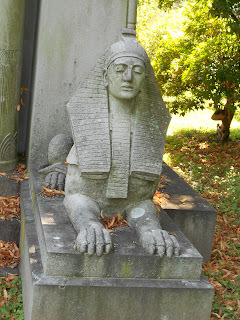 In its heyday the publication --which sold for a dime --had a circulation of 500,000 and a readership in the millions.